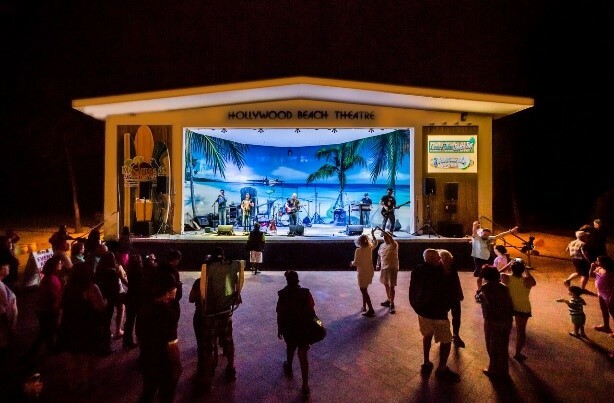 Margaritaville Hollywood Beach Resort, located on the legendary Hollywood Beach Broadwalk in South Florida, invites guests and locals to join together in celebrating its second anniversary with a weekend-long Fins Up Music Festival. From Friday, November 17 through Sunday, November 19, the 349-room destination resort and entertainment complex will host a series of performers featuring a blend of genres, including country, Top 40, reggae and rock, as well as introduce special promotions in its bars, restaurants, spa and retail shops. During the anniversary weekend, guests and locals can sip and shop with complimentary champagne (Saturday from 5 pm – 7 pm) and mimosas (Sunday from 10am – 12pm) in the ‘Live Life Like a Song’ retail store, including 20 percent off any full price item. 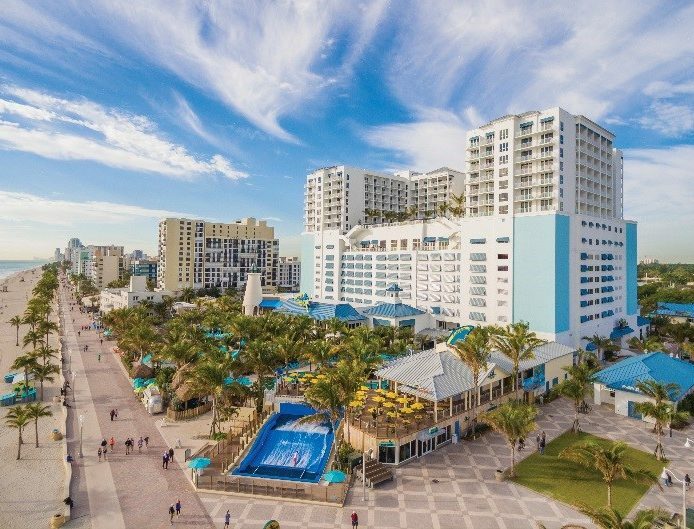 In addition, Margaritaville Surf Shop, located next to the resort’s FlowRider® and LandShark Bar & Grill, will be offering 20 percent off all full-price merchandise throughout the weekend. Looking for the ultimate in relaxation? St. Somewhere Spa will be offering two 50-minute spa treatments each specially priced at $99* during the anniversary weekend – a Sun Soother Facial and a “Massagerita,” which uses hand-carved salt stones from the Himalayan Mountains and lime essential oils. For those wishing to stay and play all weekend, the resort is offering a special “Growing Older, but NOT Up!” anniversary package. Valid for a minimum two-night stay, the package includes two welcome Anniversaritas (specialty margaritas), a $50 daily resort credit and valet parking. Guests who book the package will receive a bonus – a secret discount code for their next booking. ** Package rates start at $269 per night. Offer is valid for stays now through December 20, 2017. For reservations or more information, please click here or call (844)-562-5625. *Pricing for the spa specials does not include tax and service charge, which is based on the retail value of both treatments. **Offer subject to availability, blackout dates, and other restrictions may apply.